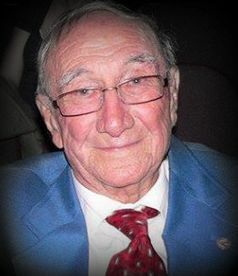 Dr. Albert Zanzuccki, professor emeritus of accounting, passed away at the age of 99 on September 18, 2015. Eternal rest grant to Dr. Zanzuccki, O Lord. Dr Zan, as he was affectionately known by the brothers and students, was the head of SFU's business department for over 30 years. He was highly respected and well-loved by generations of students. Dr. Zan was last on campus with his family to participate in the Schwab Hall groundbreaking in July. Upon completion, the first floor of Schwab will be named in memory of him. As the moderator of our chapter, he was very involved in all aspects of our fraternity. He worked with the President and Treasurer each year to make sure they understood their responsibilities. He and his family made sure the house was cleaned and ready for the brothers after and before each school year. He was a kind and gentle leader who everyone listened to when he spoke. He came to our meetings at least once each semester and was always open to help anyone who came to him and asked for it. He was like a father to me and many other brothers. He was a good listener and thought before he spoke. Many brothers got to really get to know well and he always made time for them. Many would visit him and his wife at their home and he always made them feel special. We will miss his wisdom and kindness. If you had him for Cost Accounting then you knew about the Hopper. He used that concept every year to teach the accounting majors how to handle work in progress. He was a great teacher who inspired many! Please note that the donation is for the Dr. Zanzuccki Memorial Scholarship. John Cornacchia, Dr. Zan, Carl Krajek, and John (Jack) Clynick, all Beta Lambda, at the St. Francis University July 2015 reunion. I just made my first donation to his scholarship. Very simple and easy. I had the privilege of attending Dr Zan's viewing, funeral and luncheon this past week. It was a joy to be a part of celebrating his life that was well lived. I know for over the last 34 years he's had a powerful impact of my life and family. I was honored to be able to speak to those in attendance at his luncheon. I thanked his wife and children for sharing this special man's life with all of his students and our fraternity. He was someone who's character was impeccable and respected. When Dr Zan spoke everyone listened. What stood out the most for me was the tribute paid by the current undergrads who didn't know him like most of us because he was no longer involved in the fraternity. But they all came to his viewing to pay their respects and one in particular brought an Alpha pin that was put on his lapel. Every member of Doc's family was deeply touched by their gesture. It made me very proud to be their brother as well. I know it was discussed at his luncheon to celebrate his 100th birthday at next years class reunions, so mark your calendars. The renovations to Schwab Hall should be close to finished by then and the first floor has already been named in his honor. I know I'm planning on being there. He was a special man who deserves our admiration. Take care and may God bless us all!